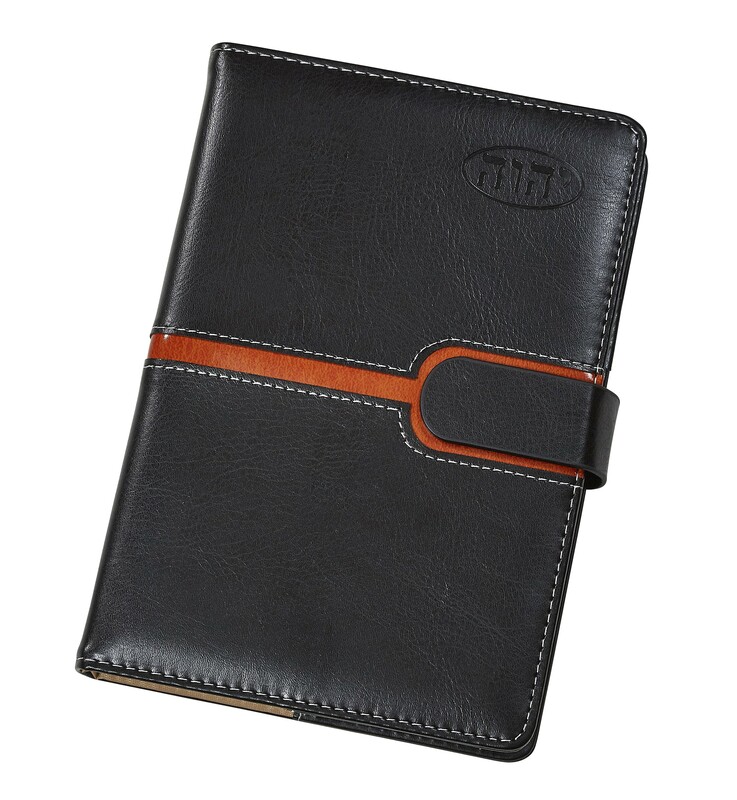 Bonded Leather Cover with embossed Tetragrammaton. 320 pages. Ribbon page marker and pen loop. No refills on this item available. 8.5" x 5.75"